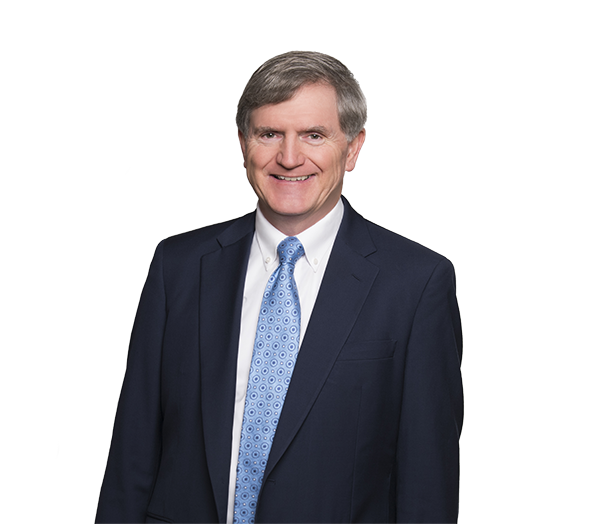 Mark Merritt's practice covers a broad range of business-related litigation including antitrust, complex and class action, and shareholder litigation. He regularly represents clients in governmental investigations, including civil and criminal investigations conducted by federal antitrust agencies and investigations by the Securities and Exchange Commission. Mark counsels clients on antitrust issues and assists them in obtaining regulatory approvals from the Federal Trade Commission and the Department of Justice for corporate transactions. Additionally, he has assisted corporate clients in conducting internal investigations into accounting and financial irregularities. Mark also represents clients who are faced with the condemnation of their property by a governmental authority. He has handled condemnation cases for golf courses, large outdoor amphitheaters, shopping centers, office buildings, industrial buildings and undeveloped land. Mark served as vice chancellor and general counsel for the University of North Carolina at Chapel Hill from 2016-18. His knowledge and experience in higher education law benefits clients and higher educational institutions across the country. Represented UNC-Chapel Hill in infractions proceeding before the NCAA Committee on Infractions. No violations were found, and no sanctions were imposed. Represented the Southeastern Conference in In re NCAA Athletic Grant-in-Aid Cap Antitrust Litigation in the Northern District of California. Represented Charlotte Pipe & Foundry in In re Cast Iron Soil Pipe and Fittings Antitrust Litigation. Represented BB&T and its directors and officers in obtaining the dismissal of a shareholder derivative action relating to the auction rate securities market. Defended Wachovia Corporation’s board of directors in litigation arising out of its merger with Wells Fargo. Represented opt-out plaintiffs Fruit of the Loom, Russell Athletics and Springs Industries in obtaining a multimillion dollar settlement of In re Polyester Staples Fiber Antitrust Litigation. Obtained summary judgment for client declaring North Carolina Installment Paper Dealer Tax unconstitutional. Client was awarded a tax refund in the amount of $35,885,976. Obtained $4.8 million jury verdict in condemnation action arising out of construction of an interstate highway on client’s property. The award with interest was more than twice the Department of Transportation’s estimate of just compensation. Represented investment banking client in several arbitrations involving fee disputes. Obtained award for the client and successfully defended against counterclaims. Represented public company in insider trading investigation brought by the SEC. The SEC decided not to file any enforcement action against the company or any of its directors, officers or employees. Represented manufacturing client in industry-wide, price-fixing investigation by the Department of Justice. No charges were brought by the Department of Justice arising out of the investigation.